GYS is a french company specialising in welding, cutting and the automotive industry. Dating back to 1964, GYs have a high tech research and development facility to ensure they stay at the forefront of technology. GYS TIG welders in the UK are backed by their own headquarters based in Rugby. Their range of TIG welding machines range from small DC machines for the hobbyist TIG welder, to highly portable units for mobile welders right up to the most advanced AC/DC TIG welding machines suitable for welding automation. 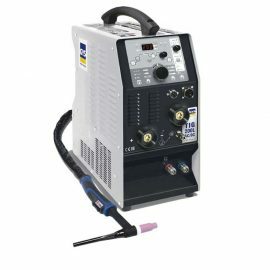 Many of the GYS TIG welders come with PFC (Power Factor Correction) and flexible voltage. 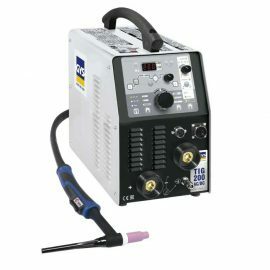 Machines with these features cope with increased or decreased voltage inputs and are particularly well suited if longer cable extensions are required – a nice feature when mobile welding. TBWS are able to supply the full range of GYS welding, cutting and automotive equipment. If you have a requirement but cannot see the product you need, feel free to let us know and we will happily assist.